The Grand Strand is known for welcoming visitors from the world over, and perhaps no foreign visitors are more frequently welcomed to the Myrtle Beach area than those hailing from our neighboring nation to the north — Canada. Snowbirds have been flocking to our South Carolina seashores since the local tourism industry got its start, and their dedication to the area has certainly not gone unnoticed. To show our area’s gratitude for these friendly wintertime residents, the Myrtle Beach Area Chamber of Commerce has been rolling out the red carpet for more than half a century with an annual international celebration, and the 57th Annual Canadian-American Days Festival will continue this tradition March 10-18, 2018. * 2018 YMCA Myrtle Beach Can-Am Cup: This annual soccer tournament for boys and girls ages 7-14 typically attracts more than 200 teams and 2,000 players — along with flocks of family members and fans — to the Grand Strand. With games held at the Market Common, Doug Shaw Complex and International Drive soccer fields, it features both Canadian and American teams facing off in some spirited international competition. 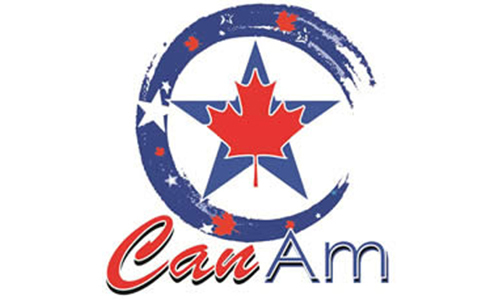 While the March 3-4 tourney is held a week before Can-Am Days officially begins, some Canadian visitors see it as an opportunity for a little bonus vacation time. Learn more about the tournament here. * Festive Brass of Myrtle Beach Concert: Celebrating its 20th season this year, the 20-plus-member British-style brass band Festive Brass of Myrtle Beach will hold its Can-Am Days Spring Concert on March 11 at 1st United Church of Myrtle Beach. The concert will begin at 3 p.m. Learn more about the event and the performance group here. * Downtown Conway Events: Downtown Conway will celebrate Can-Am Days with a range of activities on March 14 and 15, including Waccamaw River Tours, Bryan House Tours, Church Talks, Lunch Walks, Wine Tastings, History Talks, Candle & Soap Making Demos and more. Learn more about the activities on tap here. * Discounts: As a show of appreciation for the Grand Strand’s Canadian visitors, those who present a Canadian ID can receive discounts on area activities and attractions such as museums, theaters, restaurants and more. This year’s special offerings include deals at the NASCAR Racing Experience, the Ripley’s Myrtle Beach attractions, WonderWorks, The Carolina Opry and more. Check out http://www.visitmyrtlebeach.com for more info. On the Grand Strand, we really roll out the red carpet for our Canadian visitors — but the good times and hospitality can be shared by vacationers of any nationality. Join us in Myrtle Beach at Bay View Resort for the 57th Annual Can-Am Days Festival March 10-18 to experience some international fun, along with the same first-class amenities and comfortable accommodations we offer throughout the year.